With just one click, it is possible to switch, during the session, from the video to the tracking screen. From the main screen, select “Media Content” and then select your multimedia content. 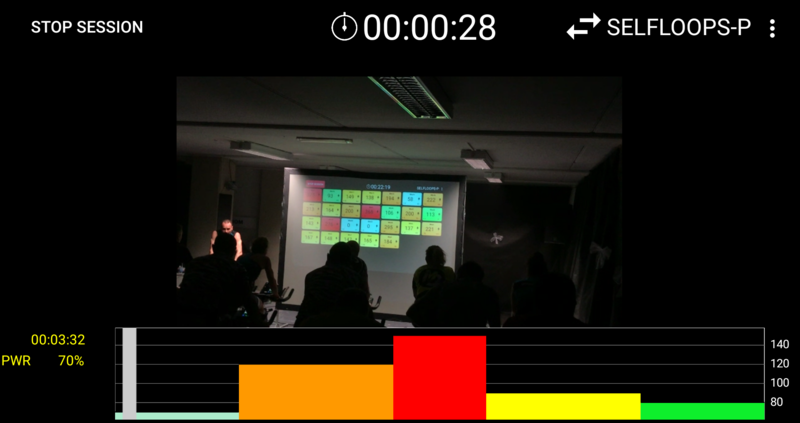 After that, you just need to select START to start the session and have the real-time data tracking together with the video. The arrows icon on the top right of the main screen allows you to switch between the real-time tracking screen to the video. There are different ways to transfer files to your Android device. Use a USB memory stick (if you use a tablet or smartphone, make sure you have a USB OTG cable together with the USB memory stick). If you have an Android TV, install a file manager app, like for example the ES File Manager. Use Bluetooth. If you have an Android TV, install a file manager app, like for example the ES File Manager. Use Dropbox or Google Drive or any other cloud services to download files to your device.